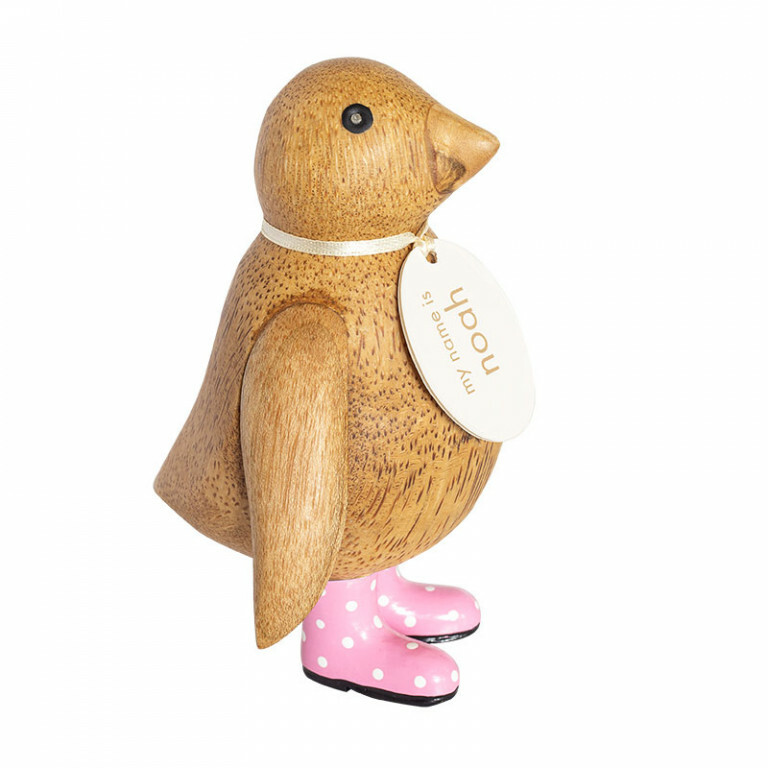 Natural finish welly ducky - standing in randomly selected styles approximately 12cm high, with pink and white spotty welly boots. Hand carved, with a randomly selected name and name tag (unless requested) Please note, all text on tags is in lowercase only. 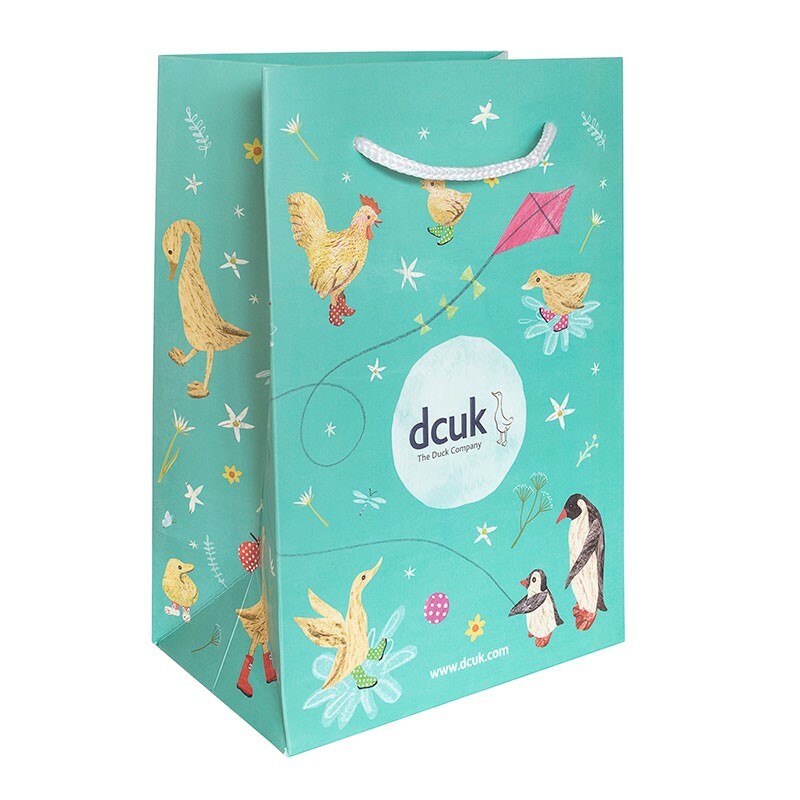 Our small gift bags have been designed so that our ducklings peep out over the top of the bag.